Heads up! 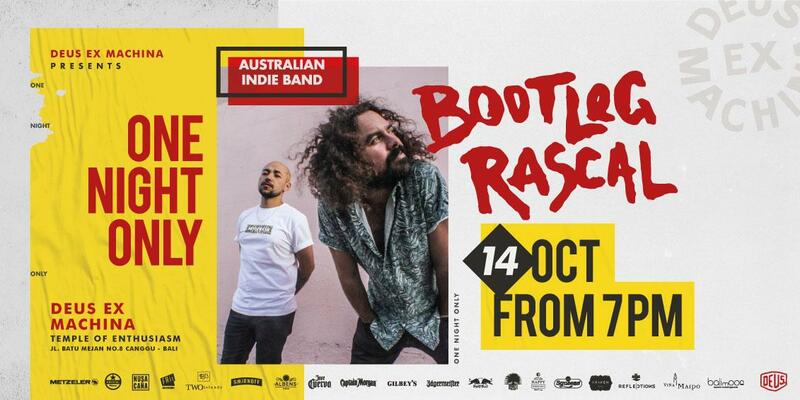 We're super excited to have part of the family, the Australian Indie band, BOOTLEG RASCAL coming in and are bound to cause a mild riot. They make music & stuff. The trio is here to mix sheet up. Last year, we added a second night of music which just seemed to us like a very good thing indeed. This year, we’ve moved things about, ‘cause let's face it, we only know one way to move and that’s forward. Set aside your Sunday night for a one-off concert for the patrons of our little big Deus (deconstructed) SlidetoberFest.